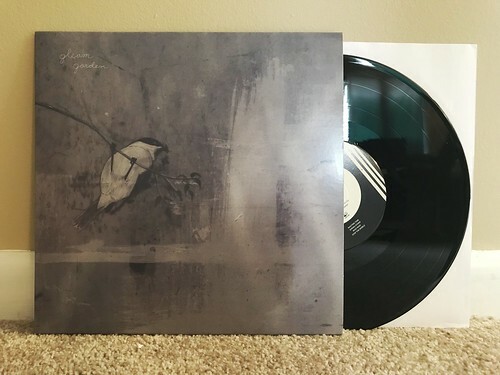 I Buy Way Too Many Records Dot Com: Gleam Garden - S/T 10"
I've been sitting on this 10" for a really long time. I don't know exactly why it's taken me so long to review it. I think it has something to do with the fact that every time I pick it up to review, I try to figure out where all of the songs have come from before and that ends up taking up too much time so I just waiting until another day. Well that other day is today. I think I've finally figured it out. Of the eight songs on this 10", five of them were previously released on a split cassette with Tony's Bite, two were released on a split 7" with Chestnut Road and one of them was on a split flexi with Car10. I don't have that Car10 split, so if anyone knows where I can get one of those, please let me know. I've been listening to Gleam Garden for years. They are one of the best punk rock bands in Japan and the eight songs on this 10" just prove that even more. These songs are poppy and straightforward and perhaps a bit less noisy than some of their older releases. But don't worry that's actually a compliment as they've still managed to maintain the energy of the past records, with a tighter focus on hooks and vocal melodies. These are some of the best songs they've released in my opinion.